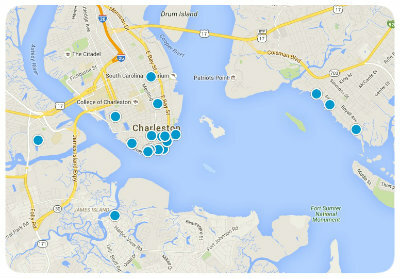 Selling Your Charleston SC Area Home? Selling your home and moving can be an emotional time - allow us to make it one less thing for you to worry about. No Gimmicks. Just realistic analysis, professional representation, and tireless efforts on your behalf. Once you've made a house a home, it can be difficult to go through the process of selling it. Allow us to work for you and make the transition to your next home easier than you thought. We will work with you every step of the way. Realize that the statistics show that the best time frame to sell a house is in the first two weeks after being listed. It is fresh on the market and buyers and their agents are eagerly waiting to see the latest and greatest property to be listed. Once it is has been around a while it looses it's freshness and blends into the masses. So, the critical point is that we have one chance to make a first impression. If we miss that chance, usually with either the condition or the price of the house then we missed the greatest opportunity to sell. We work tirelessly to arrive at the comparative market value of your home. Realistically, the only thing that determines the selling price is the market and what someone will pay for it. Usually, the market and the buyer will arrive a point of sale without much intervention by the agents, if the price and condition of the home are assessed fairly. Why use TRAKZ Real Estate to represent you in the home selling process?